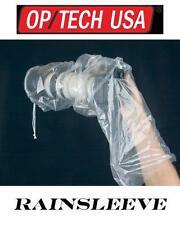 A must have item from Op/Tech, this rainsleeve is ideal for protection against rain, snow or sand. It is small enough to fit into a pocket so can be taken out on every trip for when the weather turns. This simple yet effect Rain Cover will protect your Camera and Lens Tube from getting wet. - High Quality Plastic - See through main body for monitoring - Protects your Camera, Lenses and Flashes from bad weather - Get the perfect shot without interruption - Perfect Accessory for the professional Photographer. Note: Rain Cover ONLY. Others are NOT included. Made from durable waterproof nylon with a clear back window panel. Material: Nylon. 1 x Velcro Tape. Detail Image. A drawstring lens opening provides easy access and a snug fit for the sleeve. Note: The tripod and camera are not included Description: Professional Rain Cover: Rain cover can protect and shield your camera and lens from rain, snow, fog, dust, dirt or any other unexpected harsh weather conditions. When suddenly caught by a rain shower, the Rain Cover slips quickly over your camera and allows you to keep on shooting. Made of waterproof nylon, has an ultra-clear transparent camera screen viewing window for easy monitoring all the time. Note: Rain Cover ONLY. Others are NOT included. Made from durable waterproof nylon with a clear back window panel. 1 x Sticker Tape. Material: Nylon. Detail Image. Made from water resistant nylon. 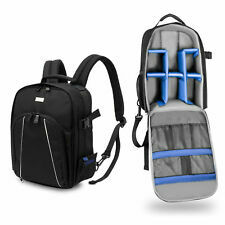 Heavily padded shoulder strap makes the bag comfortable to wear even when loaded with all your gear. Plus waist strap which can be useful for hiking or simply if you would like another way of carrying your bag. Features:- Stylish backpack with color lining, compatible with most DSLR cameras;- Soft interior Green lining;- Tripod attachment system;- Adjustable, padded dividers allow you to customize the camera compartment; Two external mesh pockets for accessories;- Two internal mesh pockets for extra memory cards, accessories;- Comfortable soft handle and shoulder straps with softened bands will make you feel comfortable even during the longest journey;- Dual zipper pulls for easy, quick access;- Comes with Rain CoverSpecification:Type: Soft Bag Material: Polyester Color: Black(outer), Green(Inner)Product Dimension: 285x190x450 mmWeight: 750gPackage Includes:1 Brand CATUO MPN Does Not Apply EAN Does Not Apply. Zippered pocket on the bottom holds up to provided detachable rain cover. Waterproof high-quality nylon material, wear resistant, scratch resistant, tear resistant. or a flashlight. It can be used either hand-held or on a tripod. (Note: verify that you have a positive lock on the quick disconnects.). Be prepared for the unexpected by always bringing along a RAINSLEEVE . Compact design fits easily in a bag or pocket . The cover is lightweight and easy to carry. This rain cover has a wide suitable range. 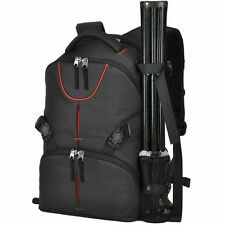 If you have more than one DSLR,as long as total length of DSLRS and lenses is no more than 18” (45.7cm), the cover is suitable for all of them. OPEN BOX Peak Design Shell Large. 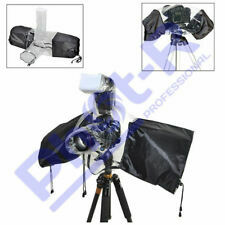 Rain & Dust Cover for pro DSLR Cameras. 4-way stretch fabric is seam-taped to resist rain, snow, dust and abrasion. ANCHOR PORTS Allow use with any Peak Design strap. 3 out of 5 stars - OPEN BOX Peak Design Shell Large. Rain & Dust Cover for pro DSLR Cameras. 1 product rating1 product ratings - OPEN BOX Peak Design Shell Large. 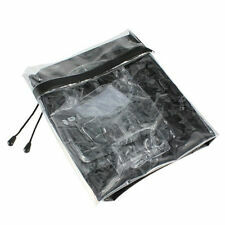 Rain & Dust Cover for pro DSLR Cameras. OP/TECH Rainsleeve. OP/TECH Rainsleeve. Used by pros worldwide. We are official UK agents for. For use either handheld or tripod mounted. Rain Cover Size: Approx. 60 26cm / 23.6 - 10.24in. 1 x Rain Cover. Detachable design, easy to set up and detach, convenient to carry around. If you do not receive our reply within 48 hours, pls. Note: Rain Cover ONLY. Others are NOT included. Made from durable waterproof nylon with a clear back window panel. Material: Nylon. Detail Image. We will try our best to reduce the risk of the custom duties. The flash lamp part is added with light diffuser, resistant to rain and sand. Waterproof double zippers make it easy to use. Transparent body design is easy to see the focal length and screen. If you do not receive our reply within 48 hours, pls. Rain Covers. PC, Laptop & Mac. Gender Changers. Li-ion Battery - Sony. AC Power Units Sony. AV Cable - Sony. USB - Sony. Lens Cases. The cover is suitable for DSLR with a lens up to 11" (28cm). Just pull the lens sleeve drawstring properly, and it will fit your lens closely. With the cover on, you can still use a lens hood. Besides, the cover is lightweight and easy to carry. 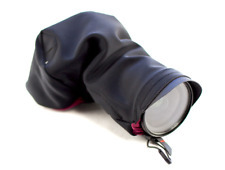 MATIN Large Rain Cover for DSLR Cameras & Telephoto Lenses. Camouflage. 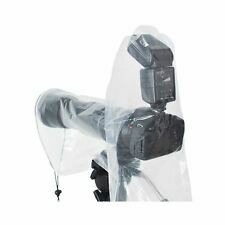 Pro DSLR Rain Cover - Large. Fits lenses up to 40cm in length. For use either handheld or tripod mounted. It can be used either hand-held or on a tripod. (Note: verify that you have a positive lock on the quick disconnects.). Be prepared for the unexpected by always bringing along a RAINSLEEVE . The RAINSLEEVE – FLASH version has an extra area to protect the flash unit . It can be used either hand-held or on a tripod. (Note: verify that you have a positive lock on the quick disconnects.). Be prepared for the unexpected by always bringing along a Rainsleeve™. 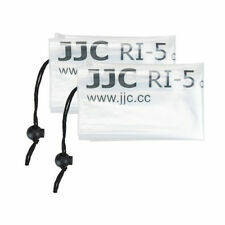 The Rainsleeve™ – Flash version has an extra area to protect the flash unit. Compatible with Nikon and Other Digital SLR. with eay arm acess either side of the screen viewing window. Although similar products are available these are better quality with The thickness and material is unique, making it easy to work with, fold and carry. Rainproof cover made of high-quality nylon material. 1 Rain Cover. Waterproof, dust prevention effect. Material: PPC Nylon. Covers DSLRs quickly and you can slip two hands through the sleeve two sides to handle it. It’s tough and durable foam outside and padded anti-shock inside. It is used thicker material, shockproof, more texture. Handcrafted design to fit for your device perfectly. This bag has adjustable shoulder strap, features a non-slip patch making even secure. Three foam inserts for dividing the internal space of your bag. Equipped with a rain cover. Perfect for daily use in all weather conditions. Buckles strap underneath the bag to hold a tripod. Cross sling bag made from water resistant polyester with padded interior. You can also wear across your chest as a sling. The luggage handle slot is designed to make the GEAR S17 your go to carry on travel bag. Simply slip the handle of your suitcase through the pocket for a secure and hands-off fit. Peak Design Shell Medium. Rain & Dust Protection Cover for DSLR Cameras. 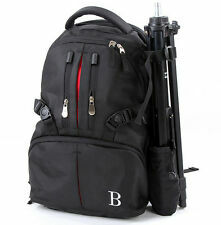 The bag fits: 1 DSLR 2/3 extra lenses accessories. Equipped with a rain cover, super waterproof performance and safety protection. Type:Sling Shoulder Cross bags. Velcro fastener at bottom fits any tripod mount and allows for manual focusing inside rain cover. Water-resistant and lightweight rain cover made from nylon fabric. Features: Protect your cameras and lenses from bad weather and harsh conditions. Slip quickly over your camera and allows you to keep on shooting. Access to many camera and lens control via two side sleeves. It has been through testing standards. A waterproof cover provide great protecting for your camera. Specifications: Color: black Size:67*28cm Compatible with: . A little more money a lot better quality!! 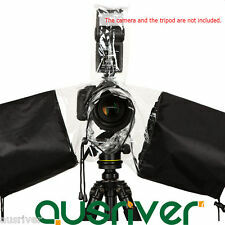 1 x Rain Cover (DSLR not included). Compatible with Color: Black. 1 x Rain Cover (DSLR not included). We will try our best to resolve the issues. 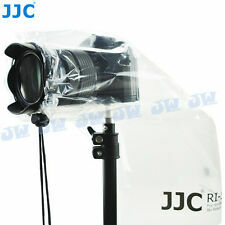 JJC 2PCS Waterproof Rain Cover Coat Protector for DSLR Camera with Lens 18"x7"